Man Ray was born as Emmanuel Radnitzky in 1890 to a Russian-Jewish immigrant family in Philadelphia. His tailor father and seamstress mother soon relocated the family to the Williamsburg neighborhood of Brooklyn, New York, where Ray spent most of his childhood. His family changed their surname to Ray due to the fear of anti-Semitism. His name evolved to Man Ray after shortening his nickname, Manny, to Man. He kept his family background secret for most of his career, though the influence of his parents' occupations is evident in many of his works. In high school, Ray learned freehand drawing, drafting and other basic techniques of architecture and engineering. He also excelled in his art class. Though he hated the special attention from his art teacher, he still frequented art museums and studied on his own the works of the Old Masters like Leonardo da Vinci, El Greco, Francisco Goya, and Caravaggio. Such self-motivation from the early age proved to be a solid grounding for the versatility he showed throughout his artistic career. Upon graduating from high school in 1908, he turned down a scholarship to study architecture, and began pursuing his career as an artist. In his studio at his parents' house, he worked hard towards becoming a painter while taking odd jobs as a commercial artist. He familiarized himself with the world of art by frequenting art galleries and museums in New York City and became attracted to contemporary avant-garde art from Europe. In 1912, he enrolled in the Ferrer School and began developing as a serious artist. While studying at this school that was founded by libertarian ideals, he met his first influential teachers and artists like Robert Henri, Samuel Halpert, Max Weber, and Adolf Wolff and was surrounded by those with anarchist ideas, which helped shape his own ideology. After briefly sharing a small studio in Manhattan with Adolf Wolff, Man Ray moved to an artist colony in New Jersey in the spring of 1913 just across the river from Manhattan. He shared a small shack with Samuel Halpert, who inspired Ray as a painter to develop ideas and techniques that would later become a foundation for his career. During this time, he frequented the 291 Gallery in New York City. Ray developed a close personal relationship with the gallery owner and photographer, Alfred Stieglitz, who introduced Ray to photography. Ray met a Belgian poet, Adon Lacroix (aka Donna Lecoeur) in New York, and they married in 1914. In 1915, Ray met Marcel Duchamp who was visiting the colony with Walter Arensberg and they soon developed a lasting friendship. This new friendship helped define Ray's interest in the subject of movement and guided his focus to Surrealism and Dada. In the early period of Ray's career, he painted in the Cubist style. His first solo show at the Daniel Gallery in 1915 featured thirty paintings and a few drawings. The paintings were a mixture of semi-representational landscapes and abstract paintings of "Arrangements of Forms"; these abstract works showed his developing interest in analytical and cerebral method of working. By this time, he had more inventory of works in his studio than he could keep track of. He started photographing his paintings as documentation and experimenting with the camera as an artistic tool. With Duchamp, Ray made multiple attempts to promote Dada in New York. They founded the Society of Independent Artists in 1916 and published a single issue of New York Dada in 1920. In the same year they founded the Societe Anonyme, Inc. with Katherine Dreier, a prominent art collector. Societe Anonyme was the first museum to devote itself to displaying and promoting modern art in America, preceding The Museum of Modern Art by nine years. However, due to the lack of public enthusiasm for Dada art in New York, and his failed marriage to his first wife, Ray was despondent. With encouragement from Duchamp, Ray moved to Paris in 1921. 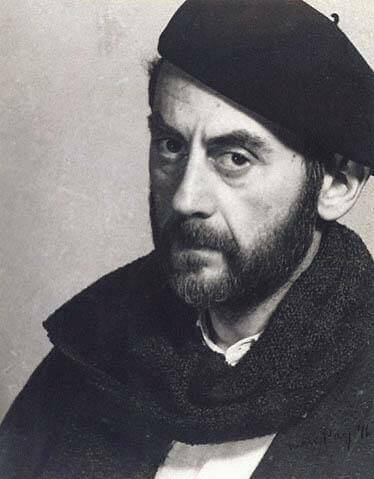 Ray lived for the next 18 years in the Montparnasse quarter of Paris where he met important thinkers and artists, including James Joyce, Gertrude Stein, Jean Cocteau, and Antonin Artaud. He also met a famous performer, Kiki of Montparnasse, who became his lover and frequent subject in his work for six years. In Paris, Man Ray was an influential member of the international Dada and Surrealist circles of artists and writers, which included Max Ernst, Dali, Paul Eluard, Pablo Picasso and Andre Breton. His most influential works such as Indestructible Object (or Object to Be Destroyed), Noire et Blanche (Black and White), Glass Tears, and most of his Rayographs, as well as his fashion photography for Vogue and Vanity Fair were produced during this time. In 1929 Man Ray hired Lee Miller as an artist assistant. She soon became his lover and the subject in his photographs for three years. Together, they reinvented 'solarization', a photographic process that records images on the negative reversing dark with light and vice versa. While trying to develop his photographs in the dark room, Ray accidentally discovered a technique called 'shadowgraph' or 'photogram', a process also known as camera-less photography using light sensitive paper. He dubbed this style 'Rayogram' or 'Rayograph'. He explored this technique for more than 40 years, in the process creating many of his most important works including two portfolio books entitled Champs delicieux and Electricite. Though many of his famous works are in the field of photography, he worked in a variety of media, including painting, writing and film. Between 1923 and 1929 he directed multiple avant-garde short films and collaborated on films with Marcel Duchamp and Fernard Léger. He also collaborated with Paul Eluard to make the books Facile and Les Mains Libres. In 1940, Ray was forced to leave France because of the war, and moved to Los Angeles where he met his last wife, Juliet Browner. They married in 1946. In the fall of 1944, Ray had his first retrospective at the Pasadena Art Institute, showcasing his paintings, drawings, watercolors and photographs from his thirty-year span as an artist. He had a successful career as a photographer while in Hollywood, but he felt the city lacked stimulus and the kind of appreciation he desired. Even though he was back home in the U.S., Ray thought American critics could not understand him, believing his ability to go from one medium to another and his success in commercial photography confused them. Ray longed to go back to Montparnasse where he felt at home, eventually returning in 1951. Upon his arrival, he began writing his autobiography to explain himself to the people who he alleged misunderstood and misrepresented his work. The resulting Self-Portrait was published in 1963. Right up until his death at the age of 86, he continued working on new paintings, photographs, collages and art objects. He died of a lung infection in 1976. Though often shadowed by his lifelong friend and collaborator, Marcel Duchamp, Man Ray played a major role in Dada and Surrealist movements in America as well as in Europe. His multiple attempts to promote avant-garde art movements in New York widened the horizons of the American art scene. His serious yet quirky imagery has influenced a broad audience through different iterations of his work in pop culture. Many of his important works were donated to museums around the world through a trust set up by his wife before her death in 1991. Most importantly, his process-oriented art making and versatility have influenced a number of modern and contemporary artists, from Andy Warhol to Joseph Kosuth, who like Ray strove to continually blur the boundaries between artistic disciplines.